4x7 Custom cross and bible magnets 20 Mil round corners will impress people and help them to organize their days well. 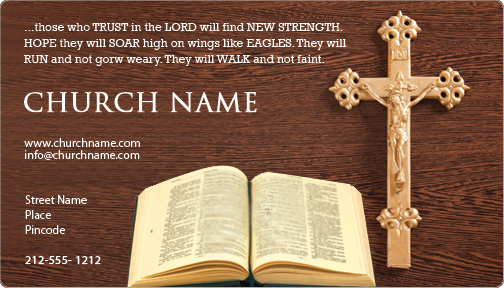 These personalized magnets will keep the church information at the forefront of viewer’s minds. They will be reminded about their responsibilities towards church patrons and faMily through these personalized magnets. These full color magnets make a wonderful gift for churches, prayer groups, charitable organizations and spiritual services. These personalized calendar magnets can be customized with inspirational quotes or graphics in any colors because we offer free full color printing with all personalized church magnets. 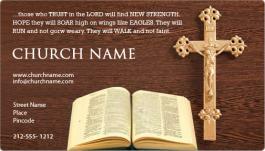 Request a quote to know wholesale savings for these 4x7 personalized cross and bible magnets 20 Mil round corners.